You know those moments when you feel ridiculously proud of yourself for some tiny little thing that really isn’t much of anything? Well that happened today and I feel the need to share it. So about a month ago, we bought a piano sight unseen. I sent my dad (who plays the piano) and my brother to make sure it was okay and pick it up and move it for me (I’m such a nice relative to have). It was a good piano that just needed a little love and some so they brought it back. What I didn’t know until they brought it back was “a little love” meant there was evidence that a mouse had at one time made a little home in the back (thankfully my dad checked to make sure it wasn’t STILL residing there and that it hadn’t done any damage besides the mess). Just to be on the safe side we decided to vacuum it before bringing it into the house. But whenever I tried to use the wand it just wouldn’t work. I pulled it apart and for the life of me couldn’t see any blockage, but any time I connected it to the hose, all the suction just disappeared. I couldn’t for the life of me figure out why. For a month, any time I wanted to use an attachment, I’d have to pull the wand completely off and attach it to the hose. (Hoses are so CUMBERSOME.) And again I’d look at try to see exactly WHAT the problem was but…I could see straight through the thing. It was like the wand was phantom suction sucker. 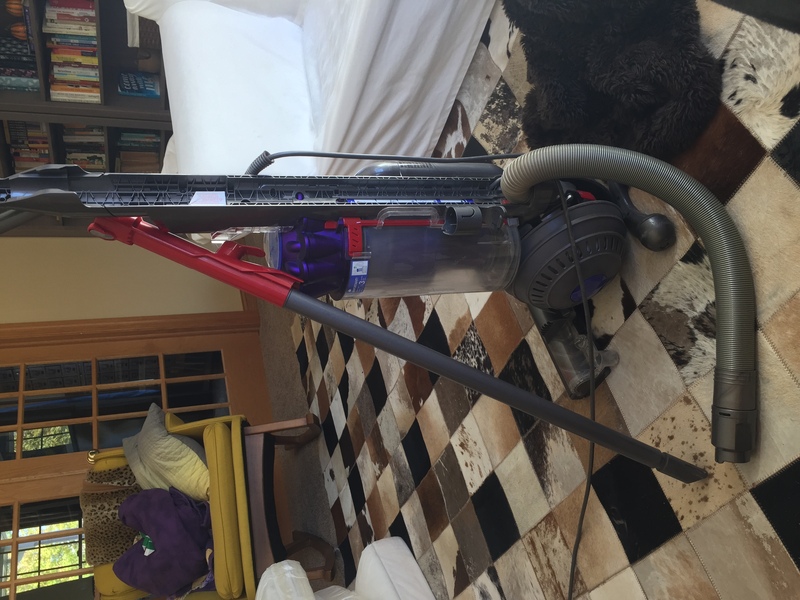 I wasn’t going to buy a new vacuum just because I had to wrestle with the stupid hose anytime I wanted to use an attachment, so every time I’d repeat the process. Try with the wand, take the wand out and inspect it only to see not a single reason for it not to work, attach the attachment to the hose, unhook the attachment, reattach the wand so that the vacuum worked when I wasn’t using an attachment. There was a clear plastic cap from some product or another about an inch from the bottom of the wand. It was as if was created to lodge itself into that wand and fool me into thinking there wasn’t anything blocking the air flow. I can’t tell you how happy I was when I used a small dowel and popped that baby into my hand and then proceeded to vacuum my couch with an attachment attached to the wand and not the squirmy hose. It really is amazing how solving the tiniest problem can just make a day! 🙂 And yes, I have a very handy male around so when I do it on my own I feel like I’ve earned a gold star. Happy Friday, Marian! Hope you have a lovely weekend.